NON-METALLIC SOLVENT DISPENSING CANS permit easy, one-hand dispensing of liquids directly onto work surface. 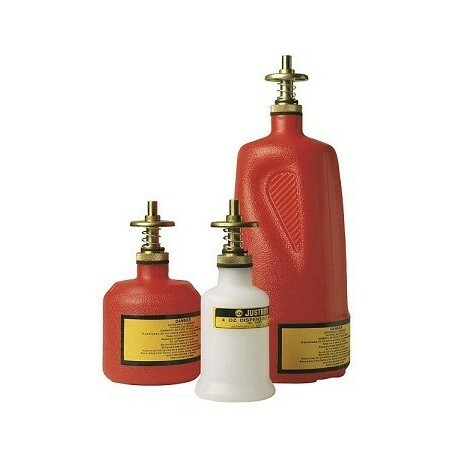 Brass dispenser valves are leakproof and self-closing to minimize spills and control excess. 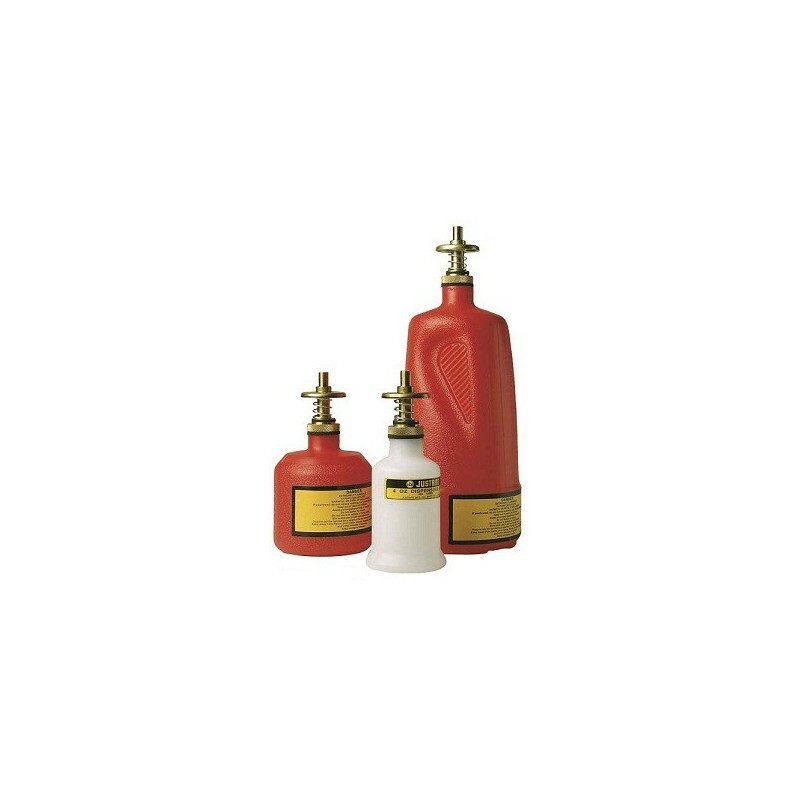 Brass valves are FM-approved and recommended for flammables. Rugged high density polyethylene body is textured and shaped for a firm grip.